Our mission is to guide our clients in all aspects of their financial lives, ensuring they achieve their life goals by leveraging the knowledge of our team and Morgan Stanley's extensive resources. The founders of The Horizon Group have worked together for over 16 years, providing comprehensive wealth management services for the personal and business needs of affluent clients. We believe that managing wealth involves far more than managing an investment portfolio. To us, it means taking the time to truly understand your financial desires and challenges, develop a comprehensive plan, and implement appropriate strategies. Through Morgan Stanley, our team has access to a full spectrum of financial solutions designed to help our clients accomplish their goals. Our team is proud to have earned both the Family Wealth Advisor and Corporate Retirement Director distinctions. Each of these specialty designations are held by less than 3% of all Morgan Stanley advisors, and reflect our unique capabilities to provide more in-depth consulting around matters such as intergenerational family wealth planning and retirement plan consulting. We’ve built our practice on sound financial strategies, personal attention and long-term client relationships. With passion and insight we partner with our clients, empowering them to create the future they envision. Our clients look to us as trusted advisors who can help them make informed financial decisions. Your financial world can be complicated; let us help navigate your future. Planning for your family’s financial future can be a complex and challenging process. It requires special knowledge, experience and a deep dedication to understanding your family’s unique dynamics, values and priorities. To better guide our clients, our team has earned Morgan Stanley’s Family Wealth Advisor (FWA) designation. Financial advisors who hold the FWA designation have demonstrated their ability to work closely with families to understand their circumstances – not just their finances, but also their individual and collective goals and how they may impact one another. What this means for you is that our team takes a disciplined, diligent approach to delivering a high level of service and a standard of care that takes into account your family’s best interests and full financial picture. We work closely with you and your family to help guide you through your financial and investment planning needs and assist you in planning for the future and whatever it may hold. In many cases we also coordinate with your tax, legal and other professional advisors to design holistic, strategic solutions to your most pressing concerns and to review your plans on an ongoing basis to ensure that they still fit your values and goals. On behalf of The Horizon Group, we look forward to putting our resources and knowledge to work for you and your family. Women and Wealth has been an important focal point of our practice for decades. For many years, we have worked together as an integrated financial planning team, specializing in providing wealth management for women, many of whom are divorced or widowed. Our practice includes many female business owners, executives and physicians. It takes a special combination of support and expertise to work with women who are going through a life transition. The affluent couples who we work with find value in knowing that when one spouse passes on, their partner will have a trusted advisor to continue working with them through a difficult transition. As a knowledgeable team, we not only offer expert financial guidance, but work to make positive changes in our clients' lives. We offer patience, experience and a straightforward approach, empowering our clients to create the future they envision. The relationship expands to understanding our clients' concerns and needs, and helping to anticipate and plan for life changes that may occur. We coordinate with our wide network of other professionals to help our clients in all areas of planning. As a collaborative team, the members of The Horizon Group have devoted their expertise, empathy and knowledge to guiding and assisting their clients, so they can make informed and educated financial decisions. Morgan Stanley has one of the premier retirement plan consulting groups in the country, and we are proud to say our team has two Corporate Retirement Directors (CRD) within The Horizon Group. CRD is a title awarded to less than 3% of all Morgan Stanley Advisors. We focus on qualified and non-qualified plans, including plan design, investments, fees and employee education. As a firm, we handle thousands of retirement plans with over $35 billion in consulting assets as of October 2017. As a team we work with a sizeable number of retirement plans, from small business plans with few employees, to larger more established plans with hundreds of employees. We are well-versed in all types of corporate plans, including 401(k), Profit Sharing plans, Defined Benefit and Non-Qualified plans. Most importantly, we take the time to understand the business owners' objectives so that we can help shape and create a plan that best accomplishes the goals of our clients. We engage with the plan on multiple levels, including the ownership group, plan committees and the plan participants. Our consultative, hands-on process positions us as an extension of the company's own benefits team. 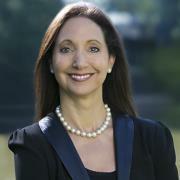 Lisa, a Georgia native, is a founding partner of The Horizon Group at Morgan Stanley and has spent nearly three decades in financial services providing comprehensive financial planning and wealth management. Lisa specializes in working with women who manage their family finances, small business owners, executives and medical professionals who value having an advisor to help them oversee all aspects of their financial lives. Shortly after receiving her Bachelor of Science from Syracuse University, she began her career in finance with some of the most recognized financial firms in the business: Merrill Lynch, Sanford C. Bernstein and American Express Financial Advisors (AEFA). In 1993, Lisa formed a partnership with financial advisor, Chris Wynne. As partners, they worked for more than a decade with AEFA, and later joined Habif, Arogeti & Wynne, a top 50 US-based accounting firm, as Vice Presidents in the wealth management division. Lisa has been recognized in various publications, including Atlanta Magazine as a 2012, 2013, 2014 and 2015 “FIVE STAR: Best in Client Satisfaction Wealth Manager.” She has shared her experience in interviews with Atlanta-area television stations and has written various articles for Atlanta Woman magazine, Chispa! magazine and Best Self Atlanta. Lisa currently serves on the Board of Governors for the Buckhead Club, and Women’s Giving Circle sponsored by the Woodruff Arts Center. In her community, she has served as a trustee of the Temple Beth Tikvah Board of Directors and Mothers and Daughters Against Cancer (MADAC). Lisa resides in the East Cobb, Metro Atlanta area with her husband and two children, where she is an active member of the Atlanta Rowing Club and also enjoys Pilates and yoga. Nick is a founding partner of the Horizon Group at Morgan Stanley and brings over 23 years of experience in various financial matters to the team, specializing in Corporate Retirement plans of various designs and complexity. Along with his partners, Lisa Schiffer, Shane Austin and Chris Wynne, the Horizon Group forms a multi-disciplinary Wealth Management team. Prior to joining Morgan Stanley, Nick co-founded the wealth management division of Habif, Arogeti & Wynne; a Top 50 US based accounting firm. There he served as the division’s Managing Director for almost 10 years, working primarily with physicians, dentists, attorneys and similar professional service entrepreneurs. Nick is a long time Georgia resident receiving a Management degree from Georgia Tech. 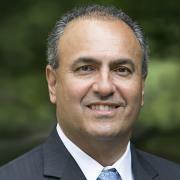 He continued his education and later obtained a Master’s degree in Finance from Suffolk University in Boston. Nick also holds the Corporate Retirement Plan Specialist and the Certified Financial Planner™ designations, and is an active member of the National Plan Advisors Association. Nick resides in the East Cobb area of Metro Atlanta with his wife and two children. He enjoys golf, tennis and movies. Shane is a Georgia native and a founding partner of The Horizon Group at Morgan Stanley. He has been serving as a financial advisor in the Atlanta area for over 25 years and provides comprehensive financial planning and investment management for families throughout the United States. Additionally, Shane works with employer sponsored retirement plans, such as 401(k) and pension plans, providing investment management and consulting services. Shane graduated from Georgia Tech with a degree in Management. Additionally, he has obtained the Chartered Financial Consultant and Chartered Retirement Plan Specialist designations and serves as a Corporate Retirement Director for Morgan Stanley. 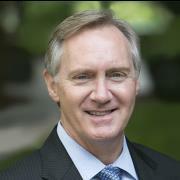 He is a member of the National Association of Plan Advisors, and the Cobb County and Sandy Springs Chambers of Commerce. Prior to joining Morgan Stanley, Shane was a Vice President/Senior Financial Advisor with the wealth management division of Habif, Arogeti & Wynne, a top 50 US based accounting firm. In addition to his work with high net worth families and businesses, Shane enjoys conducting seminars for various groups and businesses, as well as teaching continuing education courses for CPA’s. Shane resides in Sandy Springs, Georgia with his wife and two sons. He is a member and deacon of Johnson Ferry Baptist Church and enjoys playing golf, tennis and coaching basketball. Chris is a founding partner of The Horizon Group at Morgan Stanley and has spent over two decades in wealth management. He focuses on executives and women who manage their family finances and value having an advisor to help them oversee all aspects of their financial lives, including investment management, estate planning, retirement planning, and insurance. Chris earned a Bachelor of Science in Business Administration from the American University in Washington DC, and began his career in financial services with the Riggs National Bank. In 1993, he joined American Express Financial Advisors (AEFA) where he formed a partnership with financial advisor, Lisa Taranto Schiffer, and spent 10 years with the firm. 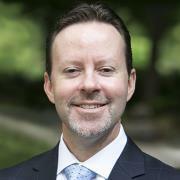 From 2003-2014, Chris became a Vice President for the wealth management division of Habif, Arogeti & Wynne, LLP, one of Georgia’s most prominent accounting and business advisory firms. Chris has shared his experience through articles in local publications and is a frequent speaker at workshops for individual clients and small businesses. Chris resides in the East Cobb area of Metro Atlanta with his wife and two daughters. He enjoys traveling and spending time at Lake Oconee with his family and friends. 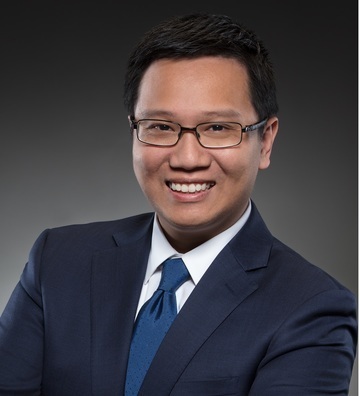 Ken serves as a Senior Registered Associate for The Horizon Group at Morgan Stanley. He began his career in financial services with an equity compensation team at a prominent stock brokerage firm. Ken assists the team by helping to address the investment, retirement, and legacy planning needs of high-net-worth families and small business owners. His goal is to cultivate strong and lasting relationships based on respect, trust, and a clear understanding of a client’s wishes. Ken grew up in Georgia and graduated from Georgia State University with a degree in Business Administration. He currently holds the Series 7 General Securities, Series 66 Uniform Combined State Law, and Series 24 General Securities Principal. 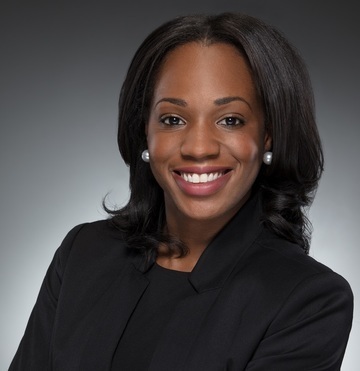 Nicole serves as a Registered Associate for The Horizon Group at Morgan Stanley. She began her career in financial services with equity compensation and an active trading team at a prominent brokerage firm. Her goals are to assist the team to create a smooth and streamlined approach to provide each client with the tools and information needed to help achieve their financial objectives. Nicole grew up in Georgia and graduated from Georgia Southern University with a degree in Business Administration, emphasis in Finance, and a minor in Fashion Design and Merchandising. Outside of assisting the team, Nicole uses her free time to design and sew clothing as a hobby.